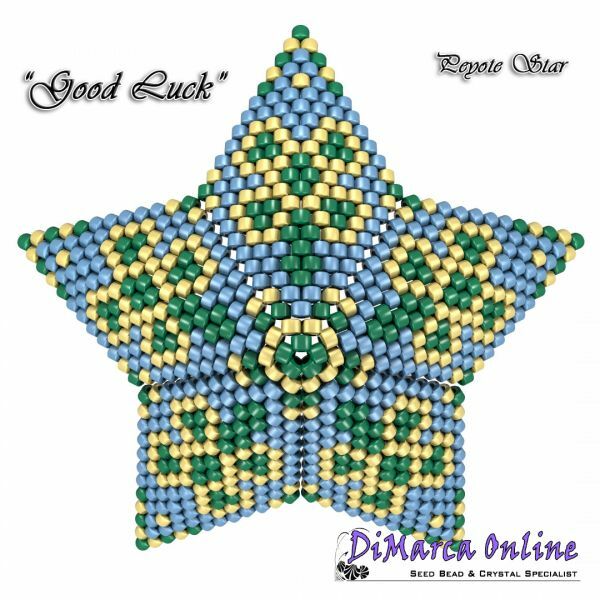 This beading pattern provides a colour diagram and text to create the Good Luck 3D Peyote Star. You will receive an e-mail with a download link to download the 5 pages PDF file. Very cute star works up quickly. 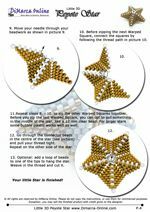 Excellent instructions and an easy one to do being symmetrical. Made one for St. Patrick's Day.